actually, there are 26 recipes! 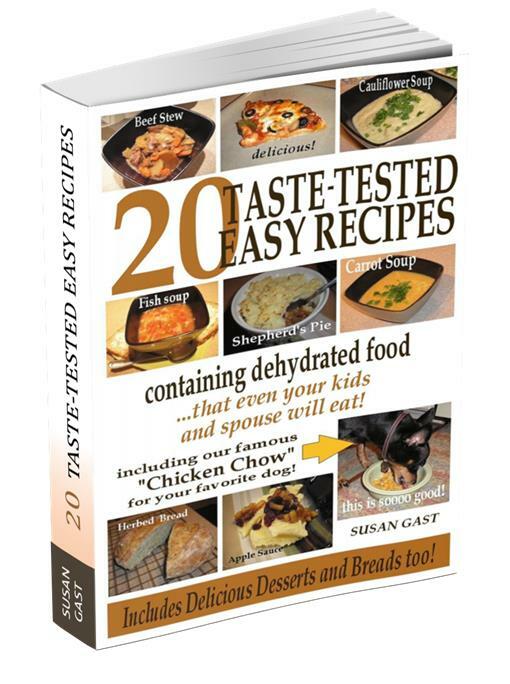 20 Taste-Tested Easy Recipes eBook helps you create delicious dishes that contain dehydrated food. From Beef Stew and Black Bean Soup, to simple desserts such as easy-make apple sauce that sits great atop ice cream. Or how about some Cranberry Pineapple pie? Or Carrot Cake you'll crave? I say, yum! 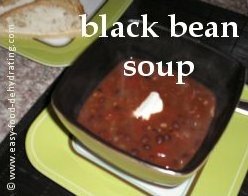 20 Taste-Tested Easy Recipes eBook! 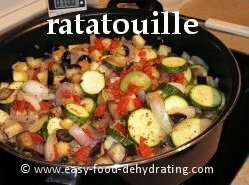 Have you ever made Ratatouille? No? Then you're in for a real treat. The aroma from this classic Mediterranean dish is awesome! Have you ever tried making a Shepherd's Pie? No? 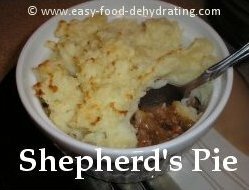 Well, honestly, it doesn't take many shepherds ... but it is a delicious mix of ground beef, onions, and topped with mashed potatoes which get browned under the grill just before serving. Yes, I want these RECIPES! 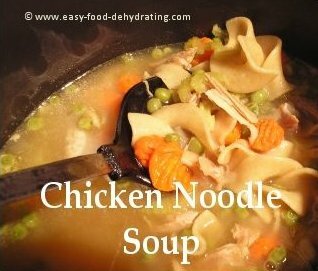 20 Taste-Tested Easy Recipes eBook contains a variety of soups, my personal favorites being the carrot soup (with the splash of orange juice that gives it a 'tang'), and I love green split pea soup done in the slow cooker. Just slather butter on some bread and you're good to go. Another fave soup is the lemony chicken orzo — easy to make — and the lemon gives a welcome burst of freshness. Do your kids love mashed potatoes? Hey, never mind the kids, I LOVE mashed potatoes! Do you know what makes a great (healthier) stand in? Cauliflower! We have a great recipe in the 20 Taste-Tested Easy Recipes eBook for Cauliflower Mash. 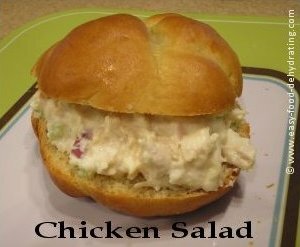 We make it easy to throw together some easy sides: Chicken Salad and Tuna Salad. Scoop those on YOUR homemade bread. Yes — YOUR bread! Look, baking bread is almost as good an aroma as the Ratatouille cooking on the stove. Let's NOT forget the family pet! 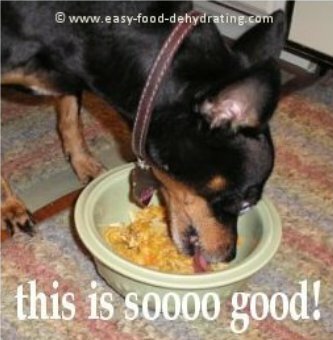 Included in our eBook is our favorite doggie meal that's guaranteed to make your dog drool. Shiny coat? Done! Bright eyes? Done! Happy dog? Say. No. More. Nothing beats the aroma of fresh bread baking in the oven. Don't think you can do it? You can: Learn how to make your own bread — Impress your friends and family at your next get-together. vendor of your choice. Only $2.99! With your purchase of our '20 Taste-Tested Easy Recipes' eBook, you're assured of a prompt refund should you not be totally delighted with our eBook! If you would be so kind as to leave a review over at your place of purchase, it would be greatly appreciated.